Addison Hall Death: Are Mall Parking Lots Too Dangerous? Mall parking lots should be places of relative peace, considering cars and trucks and minivans just sit there while drivers and passengers do what they have to do in the nearby stores or office buildings. 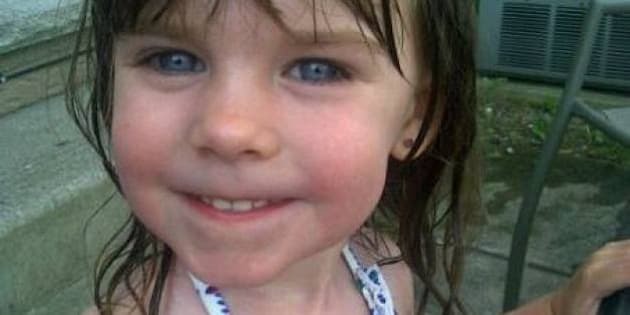 But anyone who's driven in a large commercial lot lately knows they can often be places of chaos, confusion and, occasionally, tragedy, as happened in London, Ont., a few days ago when a car backed through the front of a Costco store, striking six people, including six-year-old Addison Hall, who died of her injuries. In another recent case, no one was hurt, but police in B.C. say a disoriented, elderly driver in a parking lot in Cranbrook mixed up the gas for the brake and crashed into a store. Overcoming that potential for disaster in a parking lot is not necessarily an easy prospect, however, given the way in which so many lots are designed and how some drivers — for whatever reason — seem to lose control. Many people have tried using speed bumps and other measures to slow people down, "but the real issue isn't the design of the parking lot," says David Lieberman, an architect and professor in the John H. Daniels Faculty of Architecture, Landscape and Design at the University of Toronto. Instead, he suggests, the problem is often behind the wheel. "People don't care. Drivers are notorious … for not paying attention. So what are we going to do about people's stupidity? I don't know." Lieberman questions how you can legislate for people's inattention, and asks how much are we willing to do to overprotect our public spaces. "There have been too many stories of cars out of control leaping medians, going into a store or a restaurant or into people's homes. Most cases have not been tragedies, fortunately, but … are we to put anti-tank posts in front of every building just to prevent against a bad driver?" Still, he suggests, there may be opportunities to try to create a busy commercial parking lot that might be safer for motorists and pedestrians alike. "I think there are ways of designing better parking lots and visual attention. Will it cost more money? No. Is it about being a little more thoughtful? Yes." Some of these changes, he suggests, could be in the material that forms the surface of the lot — in other words, not all of it needs to be asphalt. As an example, he cites a reworking of St. George Street, a downtown Toronto thoroughfare that slices a north-south line through the U of T campus. A few years ago, sections of asphalt pavement were alternated with other surfaces such as brick and concrete (some sections have since been removed for other reasons). Lieberman says the broad bands of varying materials visually slowed people down, and the street became a road that "binds or belts together the campus." He also suggests designing a commercial lot so there is not a main traffic route right past a mall's front door; instead there would be a loop for dropping off people. As examples of better parking lots, Lieberman points to some in Spain and France, and closer to home, those out front of IKEA stores. "They're not ideal by any means, but IKEA has some pretty good parking lots where there's a better separation of the main traffic." But turning parking lot design upside down may not come easily, he suggests. "It's hard to get statistics because … if it's someone just bumping into a median as they're parking, or people ding doors when they open them, those are things that you don't generally hear about," says Teresa Di Felice, director of government, community relations and driver training for the Canadian Automobile Association in South-central Ontario. But crashes do happen. And De Felice sees a need for drivers there to be careful and act just as they would if they were on a street or highway. "Sometimes people's behaviours can be different when they think they're off the road and I think the same general principles that apply to driving on the road should be applying in a parking lot," she says. Whether someone can be charged with an offence for something that happens in a parking lot — and how that might be done — varies across Canada. In Ontario, for example, privately owned lots don't generally fall under the jurisdiction of the Highway Traffic Act. In Alberta, on the other hand, the province's Traffic Safety Act applies in any place a vehicle can be driven, including privately owned parking lots. However, in Ontario, some large malls have made arrangements with the municipalities in which they are situated to dedicate their main arteries for public use as highways under the HTA; or have made arrangements for the municipality to assume certain portions of their road system, Bob Nichols, a spokesman for the Ontario Ministry of Transportation, said in an email. Some sections of the HTA also directly apply to incidents that occur in a private lot. If a collision takes place in a parking lot, it must be reported to police if it results in damage that appears to be worth more than $1,000; or if personal injuries are involved or there is a fatality. In the London, Ont., crash, police are exploring whether it might be a case of dangerous driving or perhaps criminal negligence, the London Free Press reported. The mechanical condition of the vehicle is also being examined.